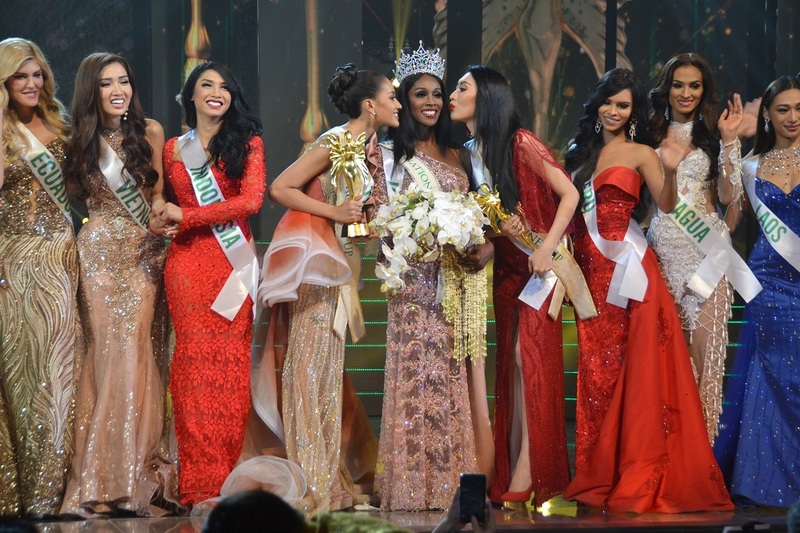 American Jazell Barbie Royale bested contestants from 20 countries to be named the winner of the 2019 Miss International Queen transgender pageant in Pattaya. A community liaison for an HIV/AIDS organization and entertainer, Royale was crowned Miss Continental in the U.S. last year. From the outset the American was the frontrunner in the contest as a skilled opera singer. She also took the Most Talented prize. In her question-and-answer session, she answered the question “Which topic do you think that it’s necessary for the world to know the most?” by saying more information about HIV and AIDS was needed. 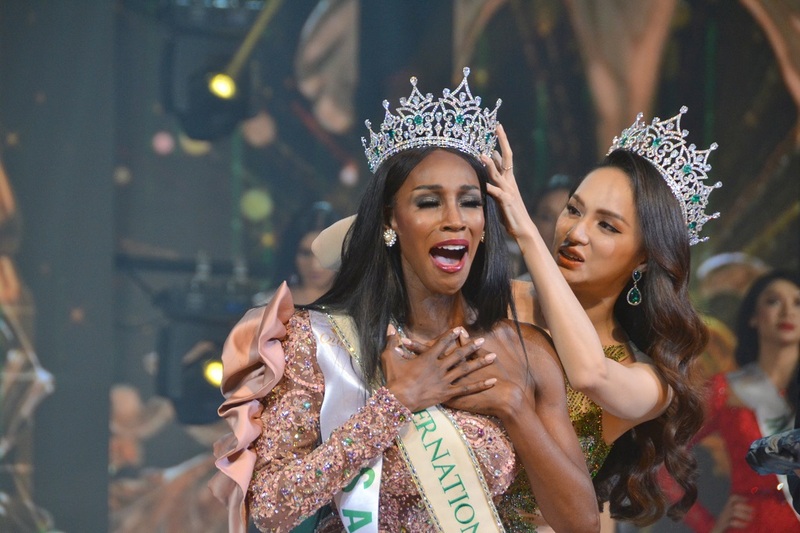 “As Miss International Queen, I would take an oath to be a mouthpiece to publicize this knowledge to the world that PEP medicines are being taken daily and will help prevent HIV infection with 90% efficiency,” she said. The first runner-up was 22-year-old Kanwara Kaewjin from Thailand and 29-year-old Ya Ya from China placed third. Jazell Barbie Royale receives a victory kiss from runner-up Kanwara Kaewjin from Thailand and 2nd-runnerup Ya Ya from China as other contestants cheer them on.